Elie Bourgely, a Lebanese artist born in 1960, known for his ability to experiment with a broad range of materials he collects from various locations such as the streets and forests. His vast experience allows him to assemble these random materials into an innovative piece of art. Bourgely creates his art by building symbols. He leaves personal traces behind by gluing sheets of paper or cloth, stones, sand and useless pieces of furniture to his canvas. In 1982 Bourgely received a diploma in drawing and painting from the National Institute of Fine Arts, Lebanese University, Beirut – Lebanon. He further pursued his studies in Plastic Arts in Paris, France. Elie then attained his doctoral studies in Art History followed by a post-graduate diploma (DEA) in Art History (Paris IV University – Sorbonne, Paris – France). 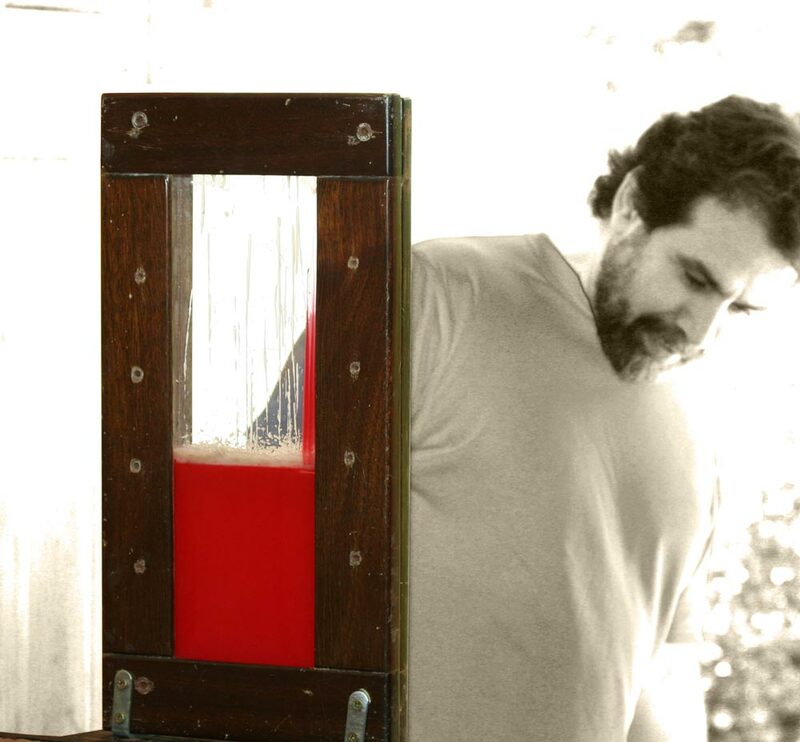 Since 1998 Elie has been teaching Art History and Multimedia, at the Antonine University, Lebanon and has been a teacher at the National Institute of Fine Arts, Lebanese Univerity, Lebanon, where he also held the position of Head of the Plastic Arts Section from 2010 – 2011.